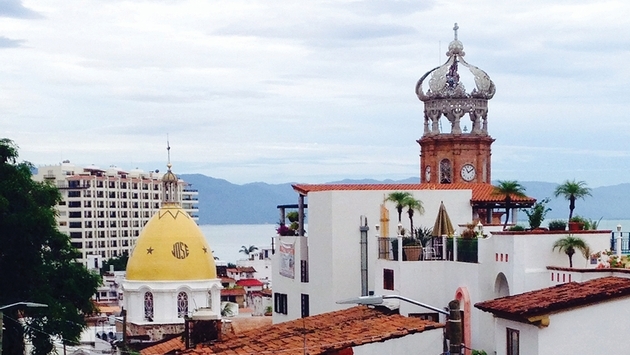 PHOTO: Downtown Puerto Vallarta is still reminiscent of colonial days past. Puerto Vallarta escaped last year’s hurricane season relatively unscathed. When Hurricane Odile swept through the Pacific Coast city in mid-September, the downtown malécon, or boardwalk and its beaches were closed due to high waves and an increased water level. But the destination’s airport remained open throughout as did Puerto Vallarta’s cruise port. Most visitors spent the time taking advantage of the indoor services and amenities at their hotels and resorts. But the minimal effects of these hurricanes are no fluke: Puerto Vallarta has been thriving since the early 19th century in part because it is protected by the Bay of Banderas and surrounded by the Sierra Madres. These natural barriers don’t always make the destination impervious to hurricanes, but they greatly helped last September. In fact, it would seem that little can deter visitors from traveling to Puerto Vallarta. Hotel occupancy between January and June 2014 increased to 1,439,771 occupied rooms, up from 1,301,449 rooms during the same period in 2013. 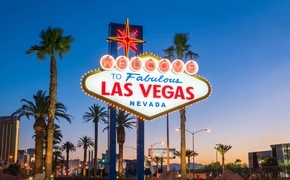 Overall, occupancy was up to 67.7 percent in 2014 compared with 59.8 percent in 2013. The destination’s port also welcomed 116 cruise ships in 2014, up 43 percent over last year. As a result, the economic impact of the international cruise ships calling in Puerto Vallarta in 2014 jumped 43 percent compared to the previous year. International arrivals to Puerto Vallarta’s airport (PVR) increased by 17 percent in the first six months of 2014 compared to the previous year. With high season now in full swing this month, Puerto Vallarta’s tourism success will likely continue to grow at a brisk pace, especially since Alaska Airlines began direct service from Portland, Ore., in early November, available through April 2015. Delta also launched service this winter from Seattle to Puerto Vallarta. The destination’s new flights, additional cruise ships and the bump in hotel occupancy all translate into more booking potential for travel agent professionals. So it’s worth becoming a little more familiar with Puerto Vallarta’s tourism offerings, such as the historic downtown and its celebrated 12-block malécon. The beachfront, pedestrian-only boulevard is lined on one side with a variety of statues and sculptures, including Puerto Vallarta’s emblematic Seahorse by Mexican artist Rafael Zamarripa. Complementing this parade of still life workmanship, the other side of the malécon is interspersed with local artists selling their crafts and musicians strumming instruments for visitors. Also popular is the open-air mercado or market, located on Cuale River Island between downtown Puerto Vallarta and the Zona Romantica—where a variety of souvenirs are sold, including locally crafted jewelry and Mexico’s unique Talavera pottery. Near to the market is the Cuale Archaelogical Museum, which was renovated in 2005. It houses a permanent exhibit of artifacts from Mexico’s western region, featuring tools, ceramics and jewelry from pre-Columbian times. PHOTO: Casa Velas is an all-inclusive boutique option for travelers. With its whitewashed buildings, red-tile rooftops and cobblestone streets, downtown Puerto Vallarta itself is a testament to the destination’s colonial past as well as Mexico’s culinary riches, if you know where to go. Of course, Mexico’s ubiquitous Señor Frog has a restaurant in Puerto Vallarta. But to eat like a local, try the intimate El Arrayán restaurant, where owner Carmen Porras is frequently on hand to recommend authentic Mexican fare like the trademark arrayán margarita made with locally grown arrayán fruit (a cousin to guava fruit) and beef barbacoa tacos. At Café des Artistes, chef-owner Thierry Blouet’s French cuisine keeps the fine-dining restaurant filled even in low season. A pianist sits near the bar while a violinist meanders between tables taking requests as guests feast upon short ribs served with cauliflower puree and classics like crème brulée for dessert. Puerto Vallarta also has a more rugged side for those seeking adventure. In fact, the ideal way to experience this is a day trip with Vallarta Adventures (www.vallarta-adventures.com), the sister company of Cabo Adventures. The company specializes in learning experiences focused on local culture, wildlife, biodiversity and nature. Day trips can include scuba diving, surfing, flyboarding, extreme zip-lining and rappelling. You can also spend a day at Las Caletas Beach Hideaway, a secluded nature preserve that was once the private home of film director John Huston. Once back in Puerto Vallarta, the marina offers some of the destination’s most sumptuous accommodations. The 345-suite Velas Vallarta (www.velasvallarta.com) is a perfect beachfront option for families seeking an all-inclusive vacation. 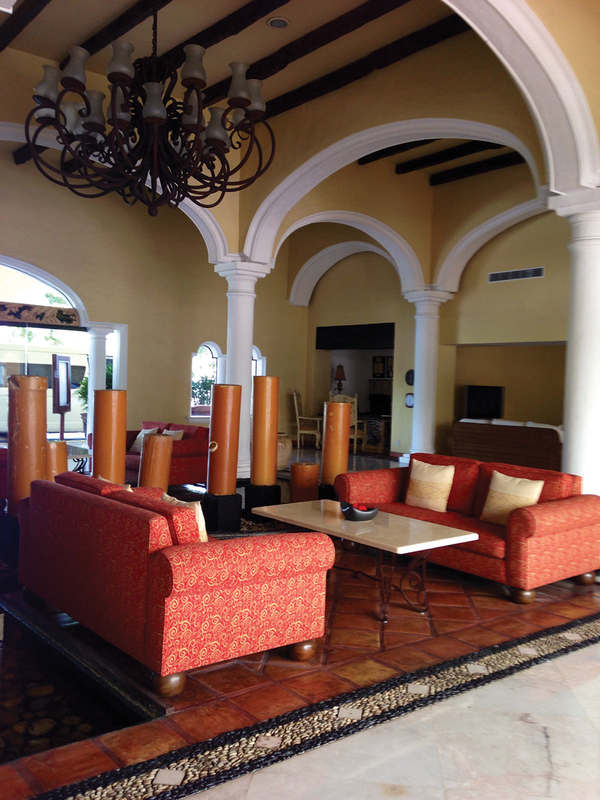 Extended families can benefit from the resort’s many adjoining suite options, complete with contemporary Mexican décor and full kitchens or kitchenettes. The kids club has dedicated spaces for video games, movies, and arts and crafts, while the free-form pool boasts a swim-up bar for adults. Just down the street, more than 600 sea turtle egg nests remain undisturbed in the fenced-off area that serves as a protected sea turtle hatchery this season at the Marriott CasaMagna Puerto Vallarta (www.marriott.com). The property’s Ohtli Spa is the largest in the area. Along with its comprehensive menu of treatments, ranging from Swedish massage and facials to body scrubs and wraps, spa-goers can also take advantage of therapy baths, plunge pools and steam rooms before and after their treatments. Indeed, it’s hard not to relax in Puerto Vallarta when visiting these resorts. A version of this article appears in print in the February 2015 issue of AGENTatHOME Magazine.